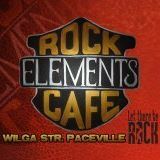 Rock Elements is a Rock Bar for Rock Music in Paceville (Malta), taking you through the eras including hits by the greats of Rock N’ Roll, Psychedelic Rock, Soft Rock, Grunge, Metal, and all the favourites from the 70’s on. The venue is a nice cozy place, and the management are always improving the place for all the customers’ entertainment. Live Rock bands on numerous occasions are playing to entertain the customers and on these numerous occasions the entrance is free of charge like every night! Place Categories: Live Music and Pubs.